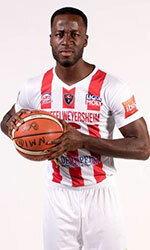 BC Souffelweyersheim (NM1) strengthened their roster with addition of 24-year old Ivorian center Cedric Bah (198-94). It is actually his comeback to Souffelweyersheim as he has played here before. Bah is not a newcomer in French League where he played most recently at played at Wasselonne Otterswiller Saverne Basket in French NM2 league. Bah also spent pre-season at JA Vichy (ProB) that year. His team made it to the U21 Championships (Trophee du Futur) Semifinals in 2015. 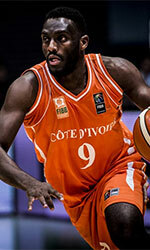 Bah represented Ivory Coast at the Afrobasket Championships last year. His stats at that event were 3 games: 1.7ppg, 2.0rpg. Bah has played previously for two other teams: SIG Strasbourg and Douai.